A pair of sterling silver heart earrings on a personalised metal gift card. Complete in tin gift box. A ceramic personalised plant pot for teachers and teaching assistants. A personalised thank you teacher apple mug design. 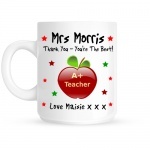 A personalised thank you Teaching Assistant apple mug design. 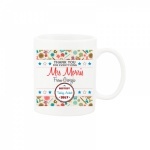 A cute thank you teacher ceramic mug personalised with a teaching assistant and child name. A beautiful compact mirror with a thank you teacher design. Comes in branded gift box. A personalised teacher pencil case which makes a great gift. 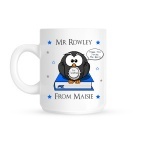 A beautiful compact mirror with a thank you teaching assistant design. Comes in branded gift box. A personalised teaching assistant pencil case which makes a great gift. A personalised thank you teacher mug in pastel colours. 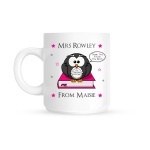 A personalised thank you teaching assistant mug in pastel colours. A delightful hanging vintage style Special Nursery Teacher plaque. A delightful hanging vintage style Special Teacher plaque. A delightful hanging vintage style Special Teaching Assistant plaque. A personalised metal tie slide with a teacher design. Great for a thank you gift and comes gift boxed. A personalised thank you teacher / teaching assistant metal keyring with star split ring in a gift tin.